I have a fall birthday. Maybe that’s why I like fall so much, but it’s hard to say. Because I think it’s equally plausible that loving fall is a universal human trait. Perhaps the only people who don’t feel that way are the ones who haven’t experienced it the right way. Here in the Great Lakes region, we don’t have a lot of glamorous geographical terrain or impressive weather patterns. But when fall arrives, none of that matters anymore. I spend a big part of the year wishing I were on a beach listening to Jimmy Buffett. Not in October though! In October, I’m happy to be here – I want to pick apples and carve a pumpkin and paint jack-o-lanterns and candy corn on my fingernails. I want to drink hot cider with bourbon and wear scarves and boots. No, I’ll be satisfied today to purchase the apples that someone else has picked, and with those apples, I will make a number of things – one of which will be some apple pie chips! 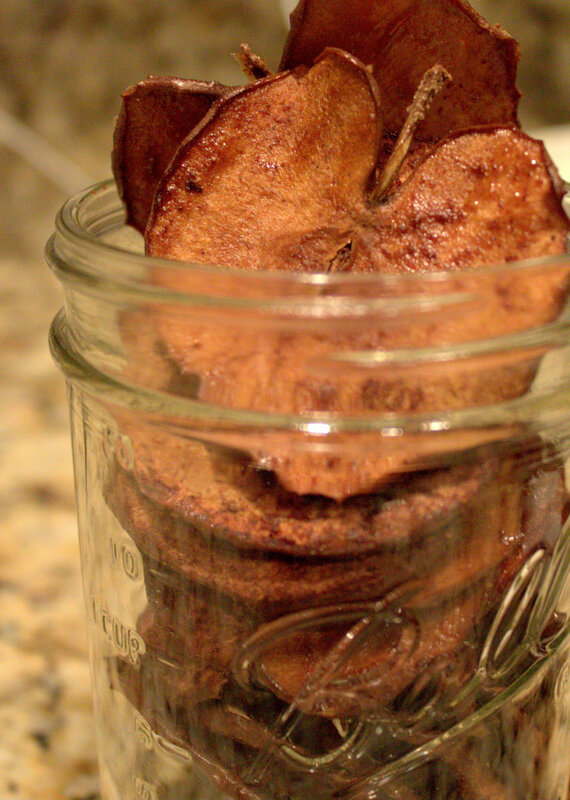 I made these a couple of weeks ago with September apples (which remarkably taste exactly the same as October apples), and they were fantastic! Next create your apple pie seasoning blend. 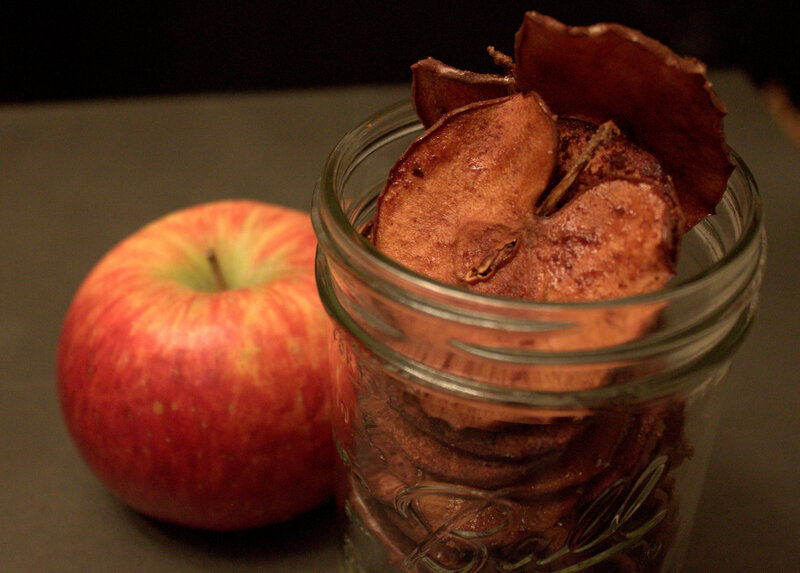 You can use apple pie spice if you find it already prepared at your store, or you can concoct your own at home. 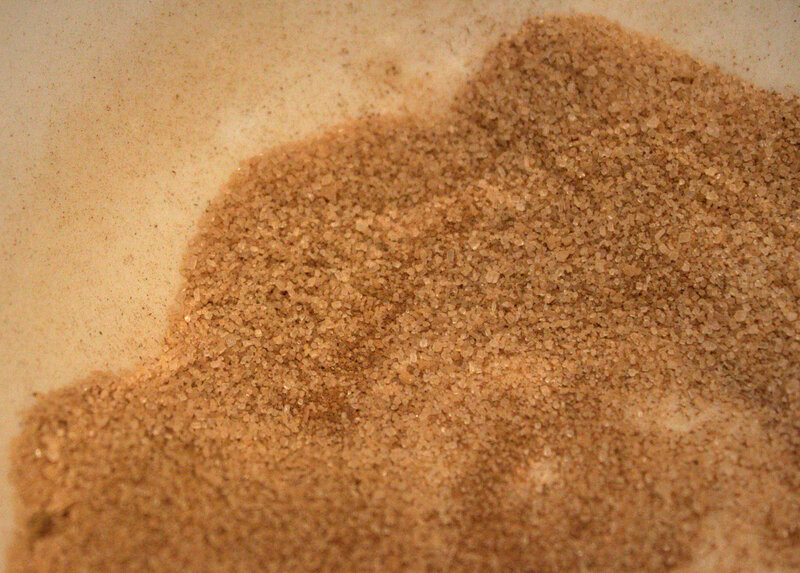 Start with about 4 tbsp of sugar, then add 1 tbsp of cinnamon, 1/2 tsp nutmeg, 1/4 tsp cloves, and 1/4 tsp allspice. Yum. Line a baking sheet with parchment paper, and spray it with a little non-stick cooking spray too for good measure. 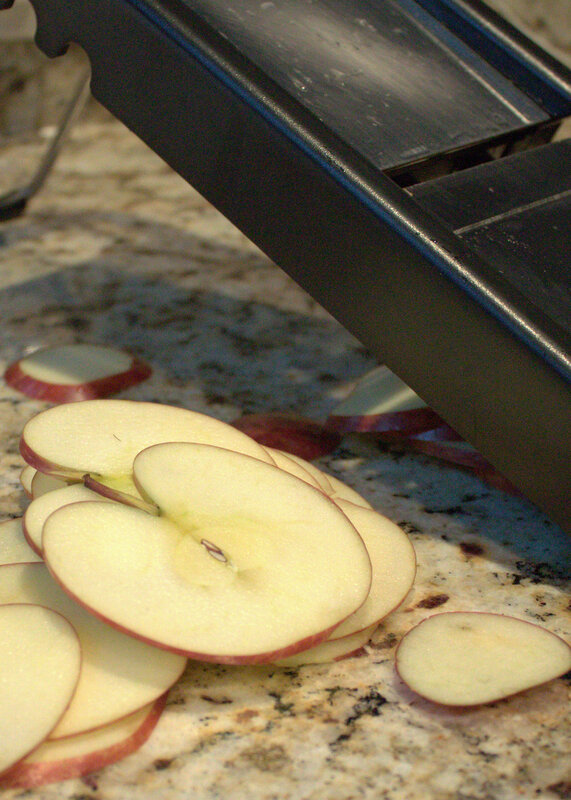 Then coat your apple slices in the spice mix and lay them out in a single layer on the baking sheet. You’ll have to bake these suckers for a long time if you want them to turn out crispy (and I do). Set the oven to 300, and bake for at least 45 minutes, but up to an hour. 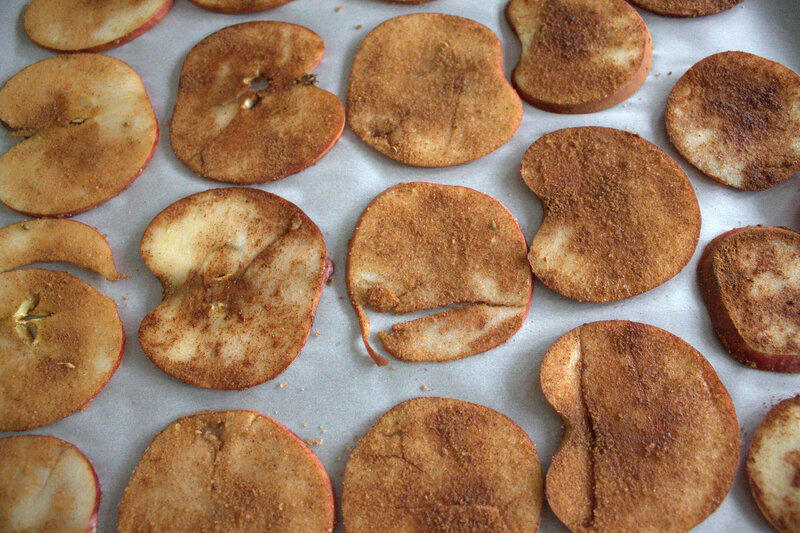 Let them cool afterwards to crisp up a little more before you start your snacking extravaganza.